Another first for Let's Ring! 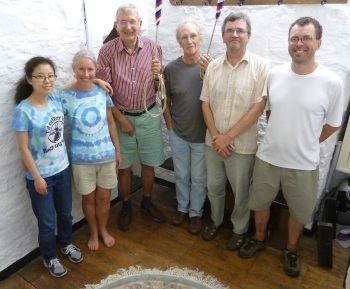 The merry band in ringing order. First submitted Wednesday, 1 August 2018 at 08:33:52 by Andrew A Ward. Sent for publication in The Ringing World on Wednesday, 1 August 2018 at 09:44:46, and printed in issue 5599.